Buyers tell us that the reason why one supplier looses out to another is generally not because of price, but because of a more complex business logic, that includes costs, benefits, risk and so on. The business case is so important that buyers tend to be very protective of it. Given its power and its complexity, they would rather keep it out of reach of sellers. Thus, for so many purchases the business case remains the secret code of buying and something that sellers can easily misread. 1. By not addressing the business case, sellers are failing to fully understand the buyer’s needs, or to address the logic, or rationale for the purchase. It means the seller is failing to affect the sale on the most fundamental level – that of the underlying business strategy and business drivers. 2. The business case is the nexus of the purchase, or buying decision. That means it should also be the locus of the sale. However, in most cases it is not. Indeed, the business case is one of the most powerful, yet under-utilized sales techniques available to the seller. 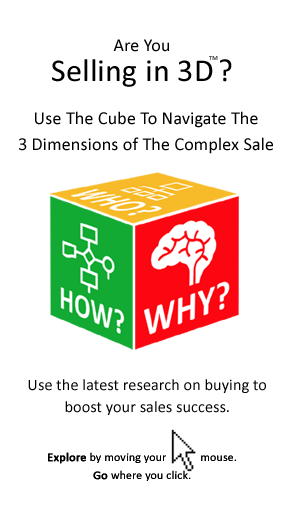 Sellers don’t look beyond the buying decision to the business decision that underpins it. That means they mistake the decision, as a buying decision, as opposed to a business decision and the competition as another supplier, rather than a competing project, or the decision to ‘do it in-house’. This results in inevitable shocks and surprises. 3. Because the business case tops the buyer’s agenda, but not the sellers, salespeople are, as one buyer put it, ‘barking up the wrong tree’. That is to say they can easily end up talking to the wrong people (i.e. lower level managers) about the wrong things (i.e. features and benefits). 4. Sellers are obsessed with closing, particularly when faced with the risk of a stalled decision. Yet they overlook the most powerful means of accelerating the sale– that is the business case – it is at the core of helping the buyer to buy, or ensuring that the purchase order gets signed. 5. Salespeople are failing to develop, or to use the most powerful argument for the purchase of their solution. Without reference to the business case the salesperson, sales pitch and sales proposal focus on secondary issues such as the features and benefits of their product /solution, and their company’s competitive advantages, rather than the primary issue of what they can help the buyer achieve. They are focused on adjectives and marketing prose, rather than the economic rationale or algebra of the business case. 6. Failing to employ one of the greatest forms of competitive differentiation, not just of the salesperson, but of his/her solution. 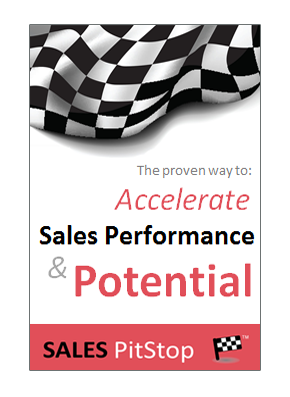 The salesperson who can meaningfully input to the buyers business case is clearly in pole position. 8. The seller who neglects the business case is probably selling too low down in the organisation. In order to get and keep the attention of senior managers, sellers must address how their products/solutions impact on business performance and strategy. If that is not what is being discussed then the salesperson is likely talking to the wrong people. 9. Buyers are increasingly sensitive to risk and it is a vitally important element of the business case equation. Sellers and their proposals need to explicitly address the issue of managing/mitigating risk. 6. Quantifying the benefits of your solution and validate your numbers based on past customers – Write the last page first – would you consider putting the metrics regarding business impact right up at the front of your proposal? 7. Bringing the issue of risk out into the open where you can deal with it. How important is the decision? Is a business case required? What form will it take? What are the underlying business drivers, strategies and goals? What level of financial analysis will be involved? – What kind of payback/ROI is required? – What are the relevant KPIs and metrics? – What are the costs (including full life costs) and benefits? What is the level of risk inherent in the decision? Are there other projects competing for the same resources? Are there strategic alternatives available to the buyer? How does the purchase fit with previous decisions, existing processes and people? What are the political issues? Are there any compliance and governance issues?